Thanks to everyone who tuned in to the live broadcast! 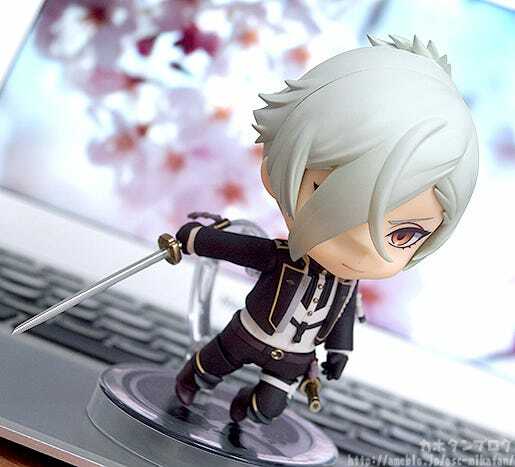 From the popular browser and smartphone game “Touken Ranbu -ONLINE-” comes a Nendoroid of Hizamaru, one of the prized swords of the Minamoto family just like his brother Higekiri. 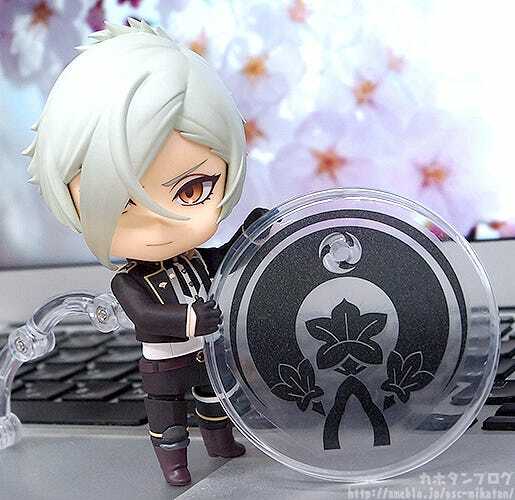 He comes with three face plates including a standard expression, a combat expression as well as a face trying to hold back his tears, based on the line “Higekiri forgot my name again. No, I’m not crying! I’m not!!”. 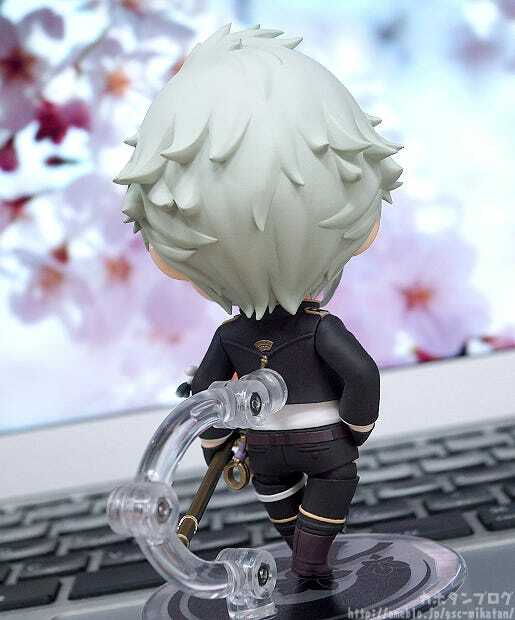 His sword can be displayed both sheathed or drawn allowing you to display him in various different situations. Be sure to add him to your collection! 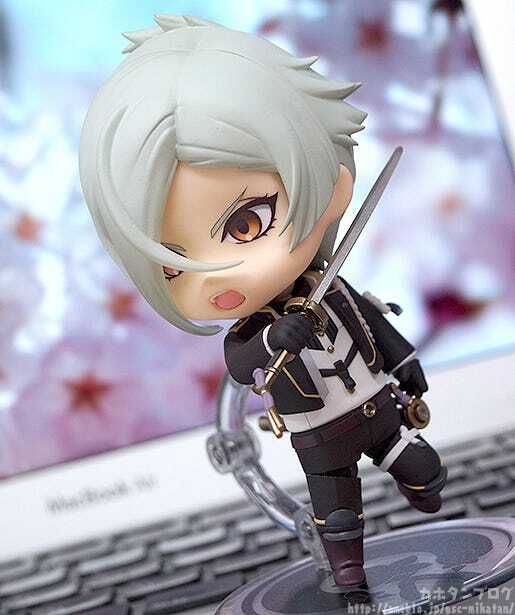 Following on from his older brother the next prized sword of the Minamoto family is also becoming a Nendoroid!! 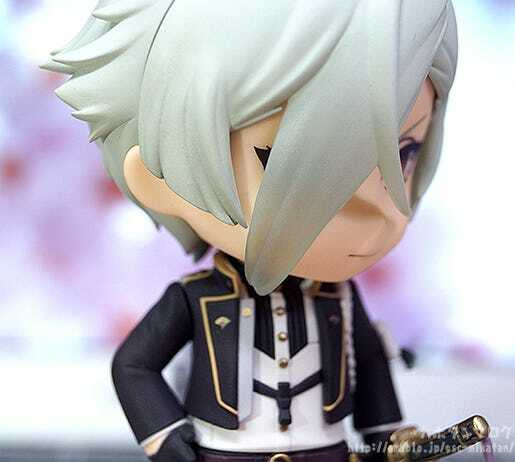 That elegant yet always ready for battle look that Hizamaru has looks wonderful even in Nendoroid size! 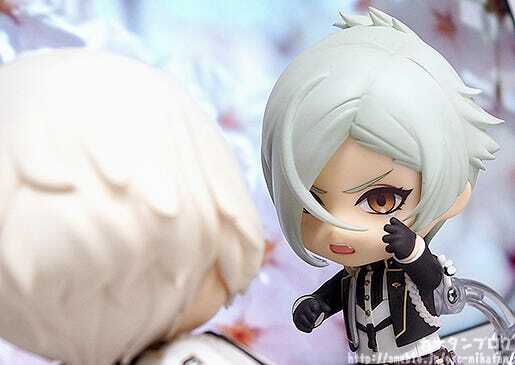 His rather unique hairstyle has also looks great in chibi form! From the front it has a very smooth and silky look, but from the back there are a lot more spiky bits for a bit more of an unkempt look! 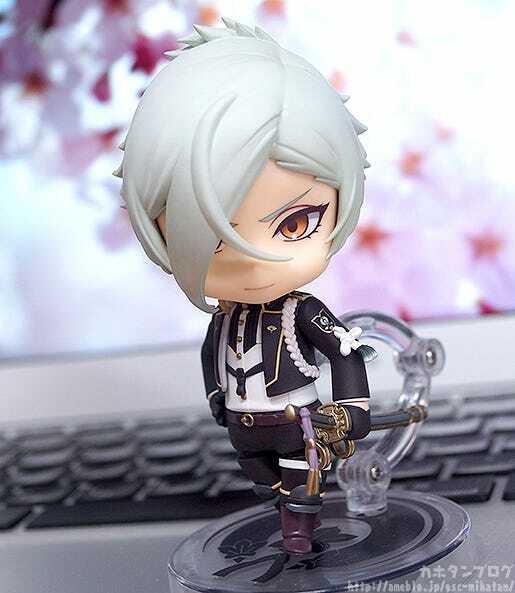 The front part of his hair actually makes use of a slightly transparent part which allows you to make out the shape of his eye behind the hair!! 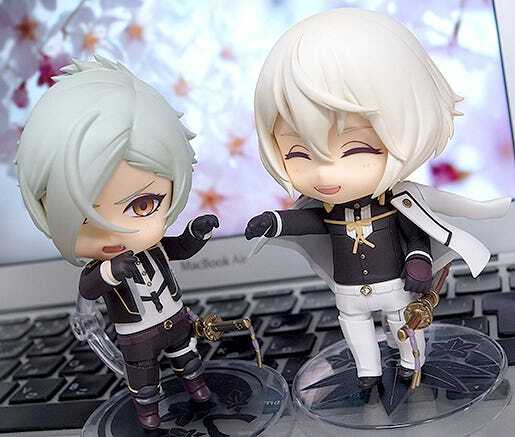 This is the same effect that was used on the previously announced scale figure! Unlike the illustration it isn’t quite transparent enough to completely see the eye as that would look rather strange in three dimensions, but it has been tuned to capture the look as close as possible! Those adorable teeth you can see in his mouth on this face!! 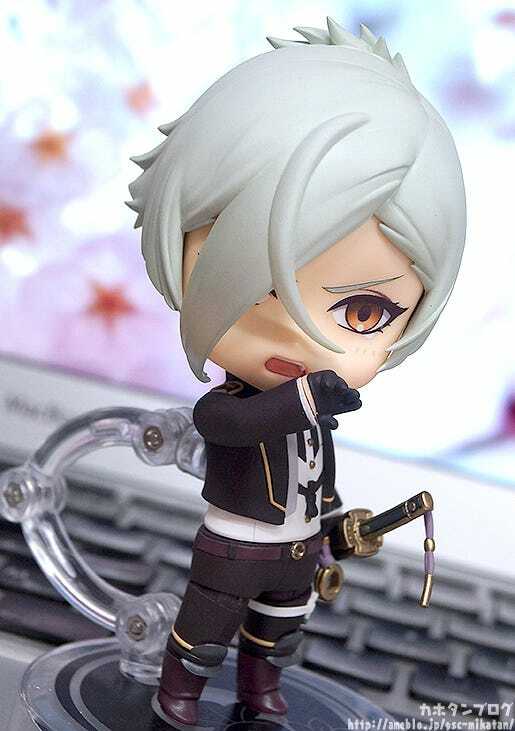 This expression combines the cute Nendoroid look and the combat feel so perfectly!! Additionally, just like his brother he also comes with parts to display him just about to draw his sword! This expression works great with the drawing of his sword! 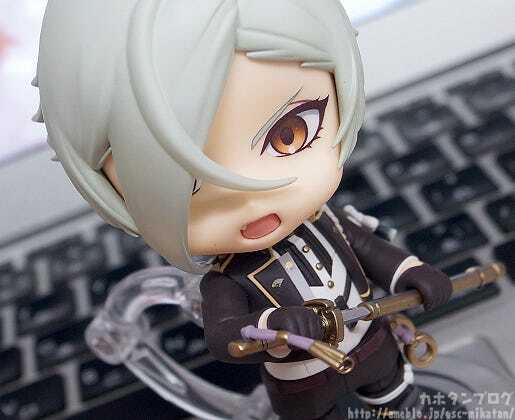 From this angle you also get just a peek at his tooth!! For his third face plate, we have a “I’m not crying” face plate! Just look at that little tear about to drop from his eye!! He is still trying so hard to keep his cool demeanor together though!! ▲ I can see all sorts of stories coming out from these two!! ▲ Both displayed with their combat expressions! I love this shot!! 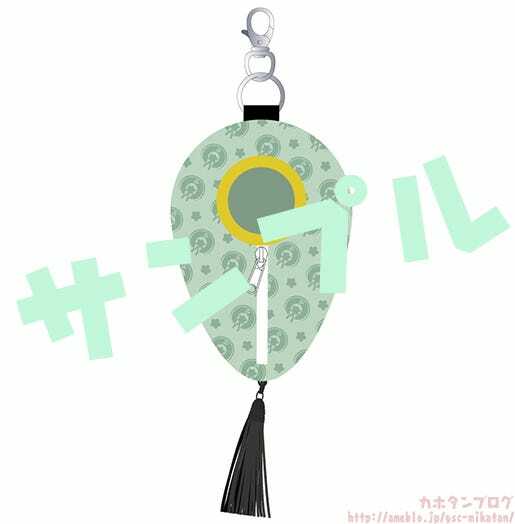 As a side note, Nendoroid Hizamaru comes with the usual round base! Be sure to add the prized sword to your collection! 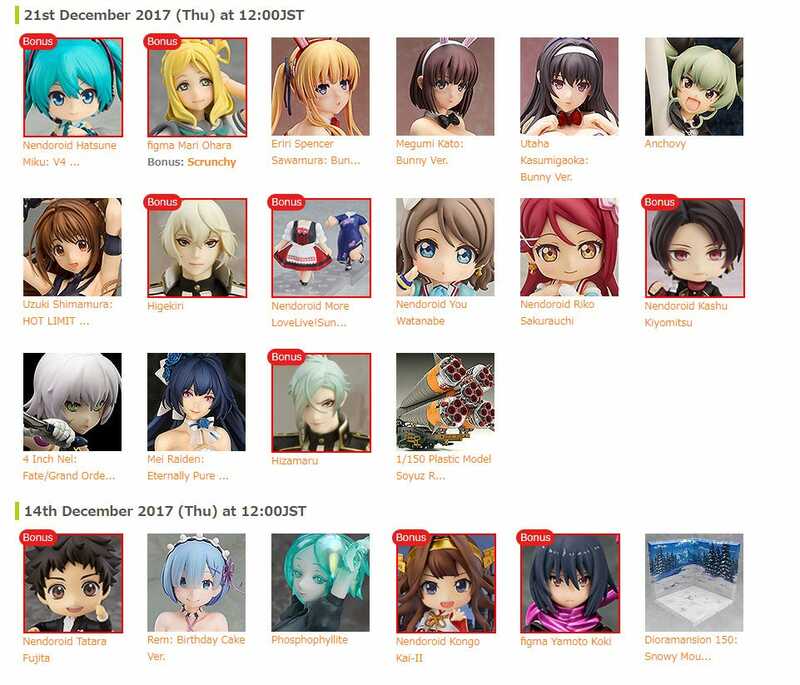 He’ll be up for preorder from the 14th December! 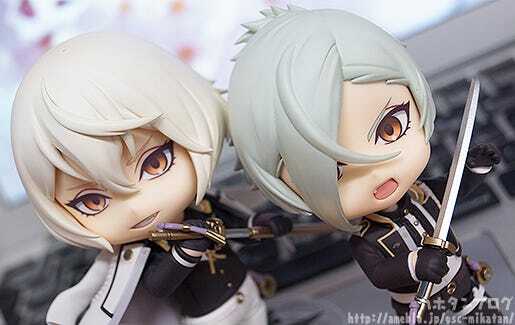 In addition, this item will also be up for preorder tomorrow!